I hope you saw yesterday's post about Fanchromatic Nails The Long Summer. If not, you're going to want to check it out, because it looks amazing with a coat of Fanchromatic Nails Fistful of Latinum!! 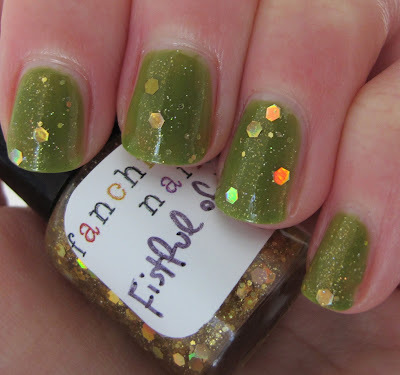 Fistful of Latinum is the second polish Lynae of Fanchromatic Nails sent me and I am IN LOVE with it! 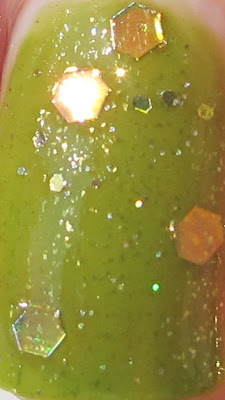 This polish is a gorgeous mix of tons of super teeny golden sparkles, and various sizes of holo gold glitter, including large holo gold hex glitter. With my love of gold holo glitter, I was destined to love this sparkler. 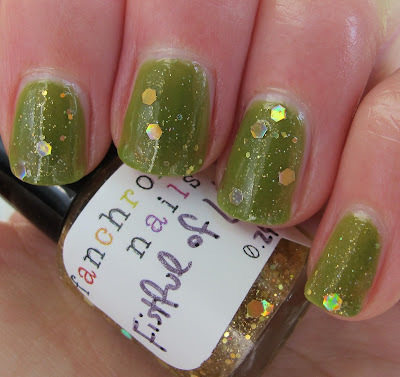 When I first checked out Fanchromatic Nails Etsy store, I zeroed in on Fistful of Latinum right away. I can't help it, I love gold glitter! Lynae gets inspiration for her polishes from her favorite games, movies and shows. Fistful of Latinum was inspired by Star Trek: Deep Space Nine! So sparkly! 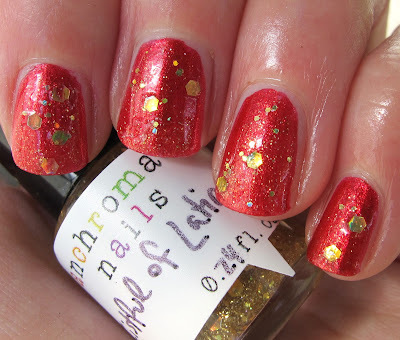 That's two coats of Fistful of Latinum over Zoya Carrie Ann. If you are loving Fistful of Latinum like I am, definitely check out Lynae's Etsy store. She has full bottles of this and The Long Summer for sale, as well as an option to pick three mini bottles! I'm eyeing Dire Wolf (Game of Thrones inspired!) in her store right now! Polish sent for review. Please see my Disclosure Policy for more information. Agreed, I like them a lot! I might try to sandwich with A Long Summer next!